social media marketing – the ajayi effect. Pancakes bring me joy. I’ve never had pancakes on a beach but I imagine if I did, I’d be in heaven. I recently got a slice of heaven. That’s because IHOP ran its first Facebook Live videos to celebrate its new Paradise Pancakes, which come in flavors like strawberry passion fruit, banana macadamia nut and pineapple upside down. The three videos were simple – three gorgeous stacks of flapjacks appeared on a table on a beach, with no sound except the waves and occasional seagulls in the background. I wasn’t the only fan – the video had over 380,000 video views earlier this week and is IHOP’s top-performing social video to date. Over a year ago, icy water inundated the Internet in what may have been the online equivalent of the largest chain letter ever—the ALS Ice Bucket Challenge. In endless Facebook videos, people hoisted buckets filled with ice water, announced their philanthropic intentions, and upended the buckets over their heads. Breathless, they would nominate a few friends, demanding that they do the same upon penalty of a charitable donation to ALS. The Ice Bucket Challenge was immensely successful—a break-the-Internet phenomenon that spread all the way up to President Obama. But with this barnstorming success came an undercurrent of critical skepticism. Were people actually following through with donations? Was the campaign saying it was better to be cold and wet than a charitable giver? Was the stunt overshadowing the actual disease? Was the whole thing actually raising meaningful awareness? Twelve months down the road, here’s where things stand according to Charity Navigator. How much money did the campaign bring in? The national chapter of the ALS Association (ALSA) reports that, the challenge brought in a staggering $115 million. Participants also donated an additional $13 million to the association’s regional branches. As you might expect, these kind of numbers were unheard of for the ALSA—the charity’s Form 990 filings show they brought in $23.5 million in 2013. How much has been spent so far, and on what? The ALSA reports it has spent around $47 million of the $115 million raised thus far, with two-thirds allocated toward research in five different areas: gene discovery, disease model development, identification of biomarkers, clinical trials, and drug development. Some 20% of the money has been spent on patient and community services; the remaining 11% has gone to education, fundraising, and processing fees. Is it bad that only $47 million of the $115 has been spent so far? Charity Navigator gives a firm no. Since ALS is a disease with no known cure, the fight against ALS is largely focused on research. Eradication is more of a priority than palliative care, seeing as the disease is 100% fatal. In interviews with Charity Navigator, multiple chapters of the ALSA described spending plans of up to three years, because research often gets paid out over multiple years. And since one study frequently begets another, smart spending is even more important. What concrete accomplishments can ALSA point to? Direct patient and community services have produced most measurable results, since patient care is immediate and concrete. For example, the Palm Beach Post reported that the ALS Association Florida Chapter was able to hire a bilingual regional care manager. Some progress has been made thanks partly to Ice Bucket Challenge research funding. 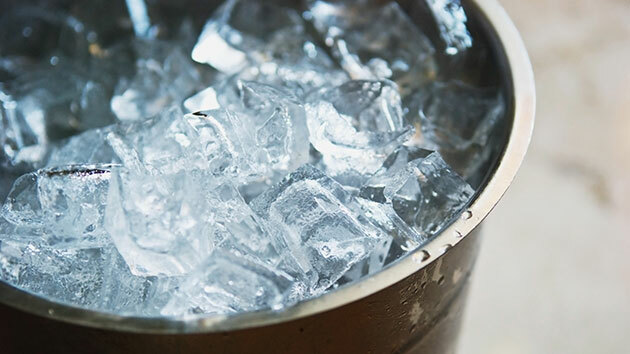 Working with Ice Bucket money, researchers from Johns Hopkins University identified a protein that fails in the cells of most ALS patients, and showed that if they repair the protein, the damaged cell can heal. It can take years or even decades for researchers to find scientifically proven treatments, let alone cures for deadly diseases, so donors may have to be patient to see what other results the ALSA-funded research yields. Lots of money was raised, but what about awareness? During the campaign, various people raised concerns that participants were more more caught up in the viral sensation than the cause, giving less money than a typical donor and often without even knowing much about the disease. There are two kind of donors, those who are deeply engaged in the cause, giving over many years, and those who respond to the social media wave. Even if most donors don’t know what the letters “ALS” stand for or anything about the illness, it’s hard to look a $115 million gift horse in the mouth. Twitter-owned Periscope launched in Marc and since then, brands have been curious (or terrified) about how to turn livestreaming video into ads. Twitter doesn’t offer Periscope ads (just) yet, but a campaign from Nestlé this weekend shows how marketers can still work slick marketing into the mix. This Sunday is the Summer Solstice, and Nestlé’s Drumstick brand is marking the holiday with a slew of social video clips that promote the chocolate-topped ice cream cone. Nestlé has hired a handful of notable Periscope personalities to broadcast classic summertime scenes—think backyards and amusement parks—to their followers. Each stream will include the hashtag #ad in the title of the video to indicate that it’s sponsored, similar to how social media influencers have delineated promotions on Vine, Instagram and Twitter. Because Periscope accounts are connected to Twitter, the livestreaming app automatically will post a tweet with a link to the real-time broadcasts. 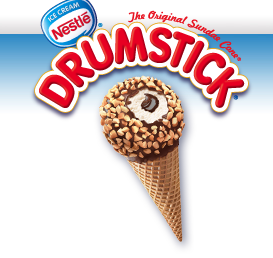 Drumstick is buying Promoted Tweets to push such tweets and ultimately drive viewership, and the brand has also hired an additional 100 Twitter influencers to tweet about the ice cream this weekend. Meanwhile, Drumstick opened its own Periscope account yesterday and will be livestreaming 15 to 20 scenarios on Sunday from beaches, amusement parks, backyards, lakes and on the street in New York City.